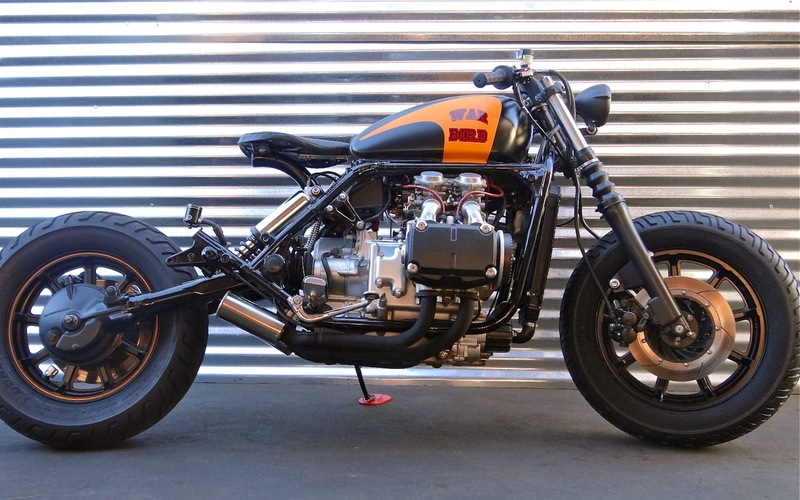 And now something less common in the Cafe Racer scene. A quite unlikely base for a concept of a “racer”. But this is exactly what makes it so special. About the base… It’s a classic. 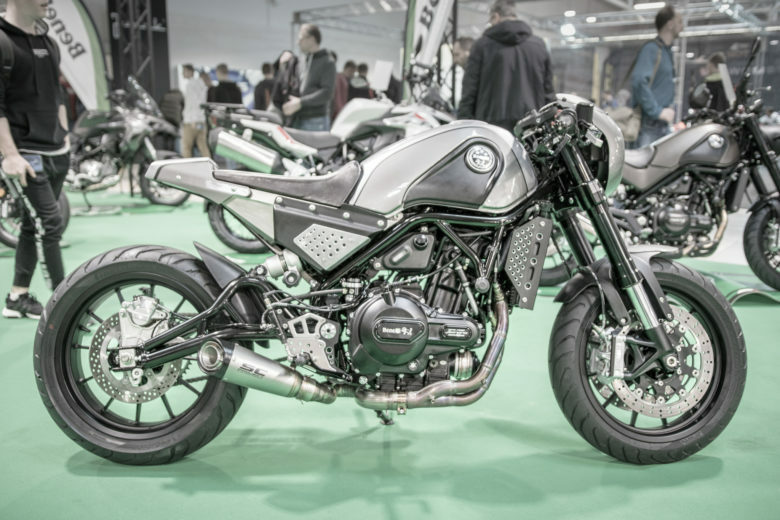 Bold Honda move to jump-start a totally new segment of big touring motorcycles. 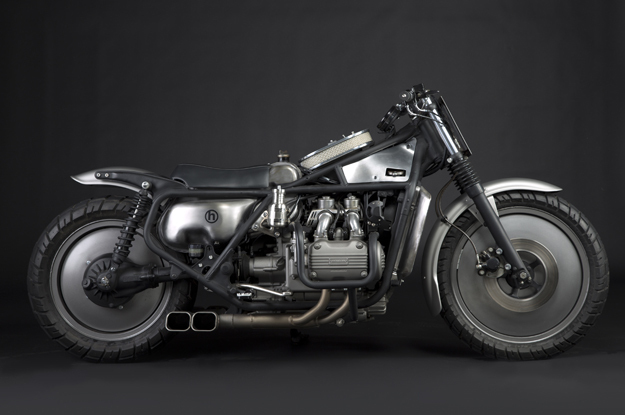 And they did it with a big bang… The Society of Automotive Engineers of Japan includes a Honda Gold Wing GL1000 manufactured in 1974 as one of their 240 Landmarks of Japanese Automotive Technology. Through 2012, Honda GL models have appeared eighteen times in the Cycle World list of Ten Best bikes. 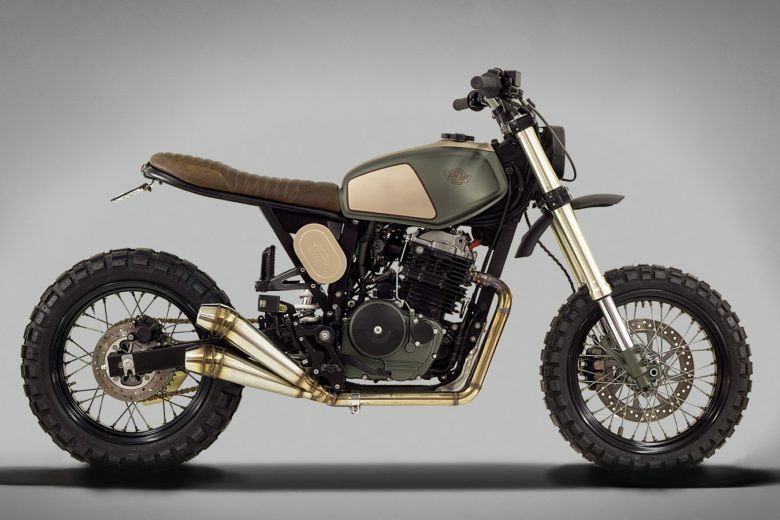 The motorcycle is big and long, the engine is unique (4 cylinder boxer engine), the fuel tank and air-box, that generally switched places… gives it a great potential to approach the build unconventionally. And that’s what the builders listed below did (especially number 2). Classic approach. 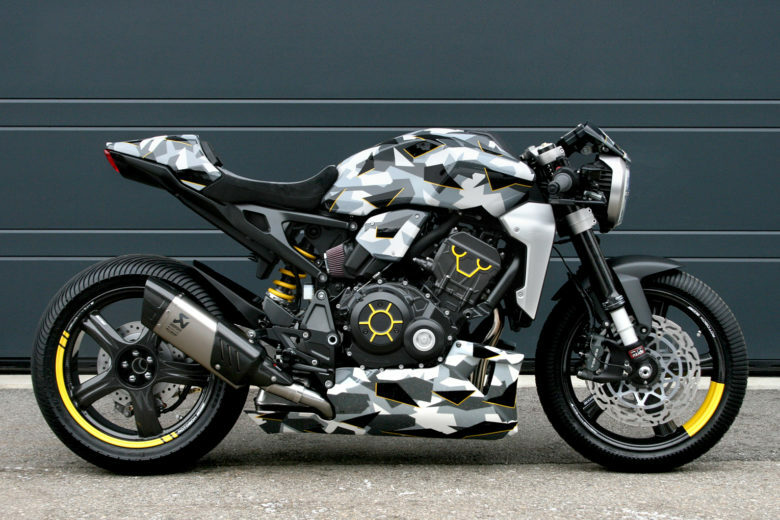 Characteristic tank, attempt to create a straight line of the tank and seat and a Cafe racer fairing. Attention to details and eye-catching wheels. 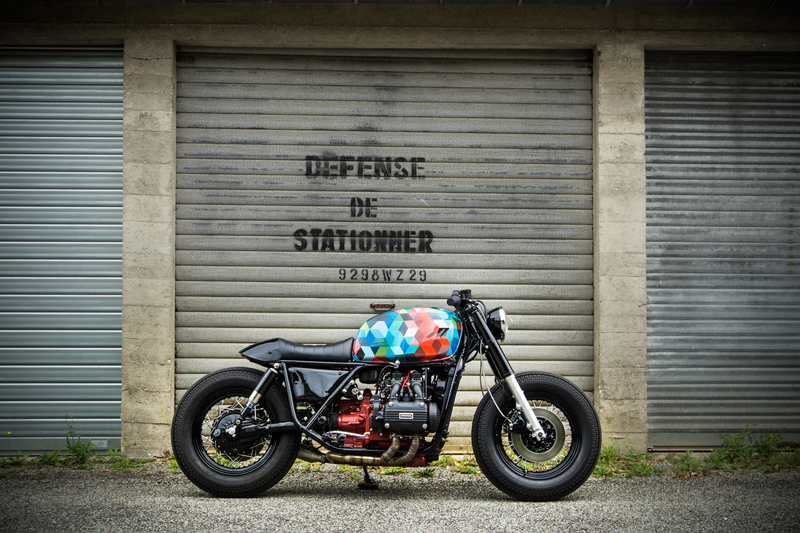 Second featured build by the team from Sur Les Chapeaux De Roues. The paint job is awesome. The red / dark feel, huge tank, and tires make it a complete package. And that is the concept build to reward. This airbox…. (and fuel tank) present in the same place as the original but so different 🙂 That is what I would do to keep to the motorcycle special features with “custom” touch. Everything fits my taste here – silver/metal/black color choice. Air-box and tank approach. 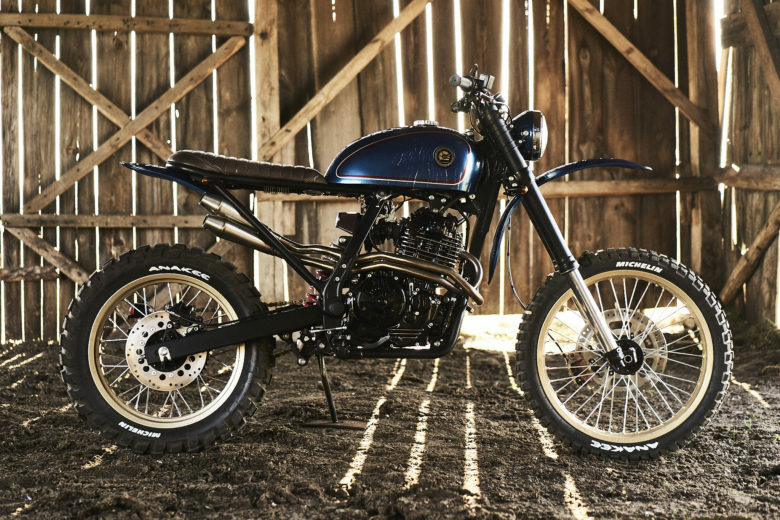 Exhaust pipes… The only thing I would consider changing – is the rear part of the frame and the fender. 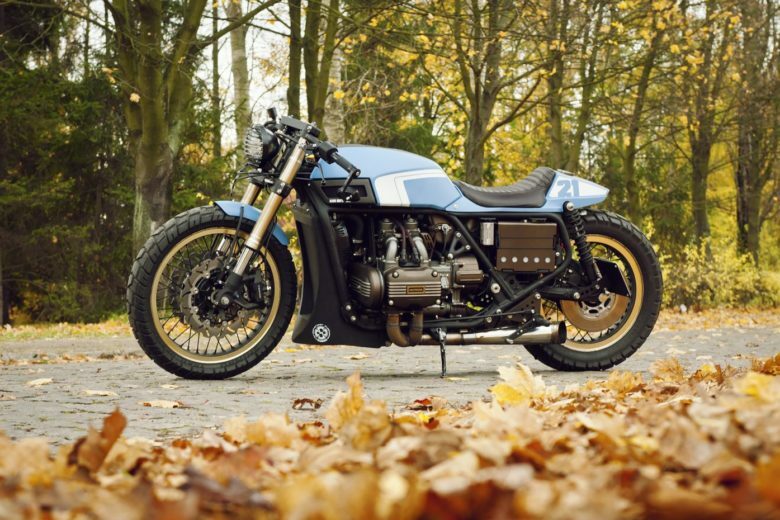 But regardless – it’s a complete and tasteful build. And the winner from my backyard. GL1000 by Cardsharper Customs. I like all of their builds. 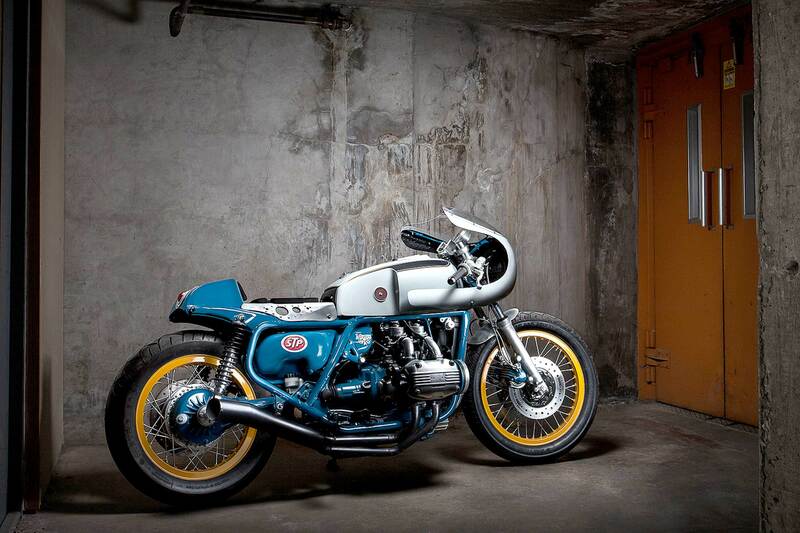 But this one – considering how big challenge it was to create this classic cafe racer line. Retro wheels. The only thing I don’t quite get is the “secondary” brown color. But definitely – click the link below and see more pictures and details of this one!